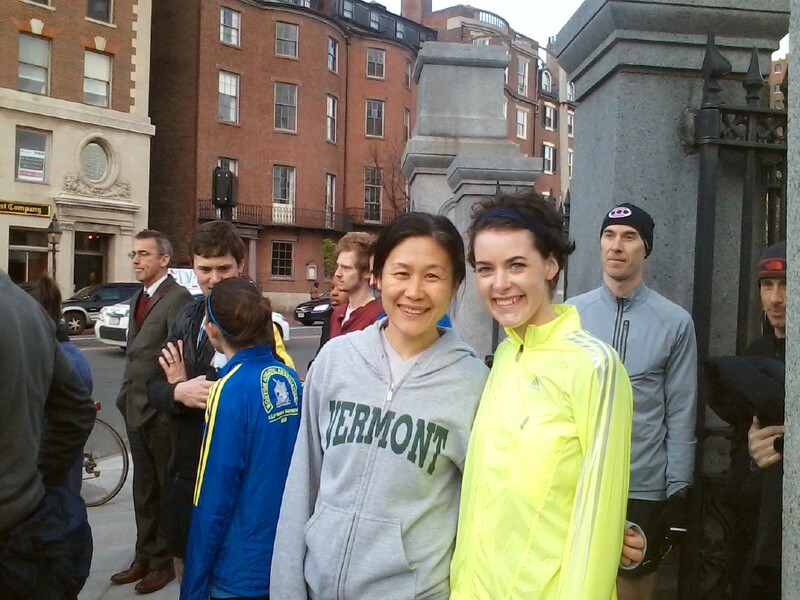 After the Boston Marathon bombing I found a post on Facebook about a tribute run in Cambridge scheduled for Saturday. I tried to sign-up, but there was such an outpouring of interest, and with the manhunt happening just hours before the run, it was understandably rescheduled for sometime in the summer. I went into the Harvard Square CitySports and asked about the rescheduling, but the women behind the counter didn’t know anything. Hopefully, they’ll send out an email blast. Trying to get back to normal, but still feeling weird from the lockdown, I jogged in my neighborhood, and chatted with a neighbor about the terrible events last Monday. His sister was a first responder in the tents on Boylston Street at the finish line. She said she’d never gone through so many bags of plasma, and she’s been in the war zones of Iraq and Afghanistan. Blood pressure becomes critical in these situations, and new methods for maintaining pressure with clamps and copious amounts of plasma rather than tourniquets save lives and limbs. I wanted to help somehow. I looked around for tee-shirts where the proceeds would go to One Fund, and bought a couple, but I wanted to do more. Even though I’m not a real runner, per se, I wanted to actively show my solidarity. I wanted to run. Thankfully, I found PavementRunner.com (http://pavementrunner.com/boston-strong-city/). A week after the bombing and on Earth day no less, this guy had put together an idea that went viral. Runners in participating cities would run a few miles in their city to show support for the lives lost, the injured, those who would never run again, those who couldn’t finish, the first responders and all those affected by the bombing on Marathon Monday April 15th, 2013. Count me in. One of the runners had a great tee-shirt: “+ > ÷” – It took me a minute, but I got it – addition is greater than division. He and a pal, that showed up a little later, ran barefoot. They’re the tall guys waving in the back of the group photo. Very impressive in forty degree weather and on pavement. I spoke to the photographer who is working on a film of the events, and hopefully he’ll use Kickstarter if he needs funding, and post a request about the project when the time comes. When Steph got there, she told about her experience and about one of her friends getting injured. It was heartfelt and made a lot of us tear up. She was doing this for her friends and family who were still reeling from the experience. She whooped and cheered to get us ready to roll and told us where we’d be running. 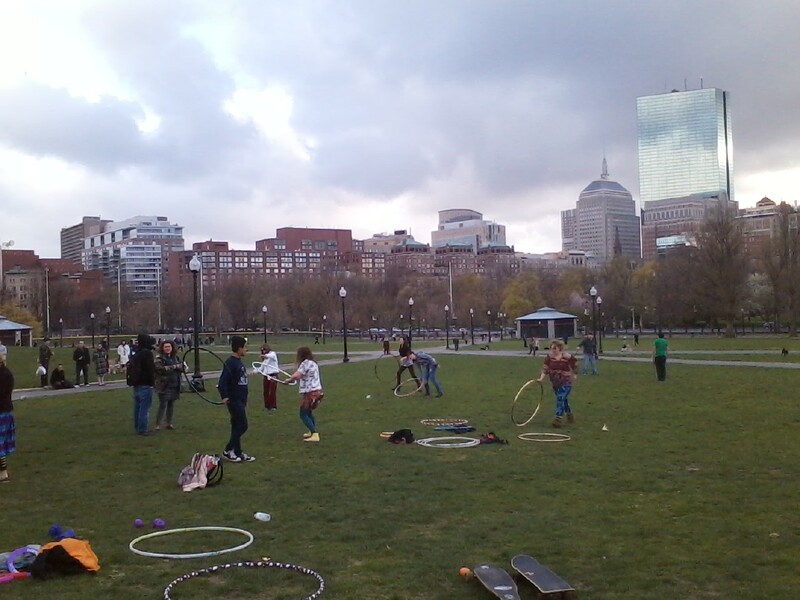 The course was an easy flat one — a giant square around the main avenues of Back Bay. We started up Beacon, took a left on Massachusetts Avenue then left on Commonwealth and back to Arlington. The flowers were blooming, and even with the gray skies it was lovely. I was over dressed, as usual, but I’m always cold. I managed to keep up with the group for a couple of blocks, but couldn’t sustain the pace. I’m good for a twelve minute mile, and these people were keeping pace at about an eight minute mile, if not faster. Oh, well. I walked and watched them eclipse me off into the distance. I found a lovely bike along the way, and thought, if I had that I might have been able to keep up. As I trotted along, on the final stretch of Comm Ave, some of the runners that had participated passed me going in the opposite direction – not making eye contact with the slow poke. Humiliating, sure, but I did finish, and to my surprise, Steph, the organizer, was still there. She was getting interviewed by some students from Emerson, and taking photos with a lovely Asian couple that had come out to participate. The gentleman ran in his work clothes. Hugs were given out all around, as we parted ways, feeling better for having done something. 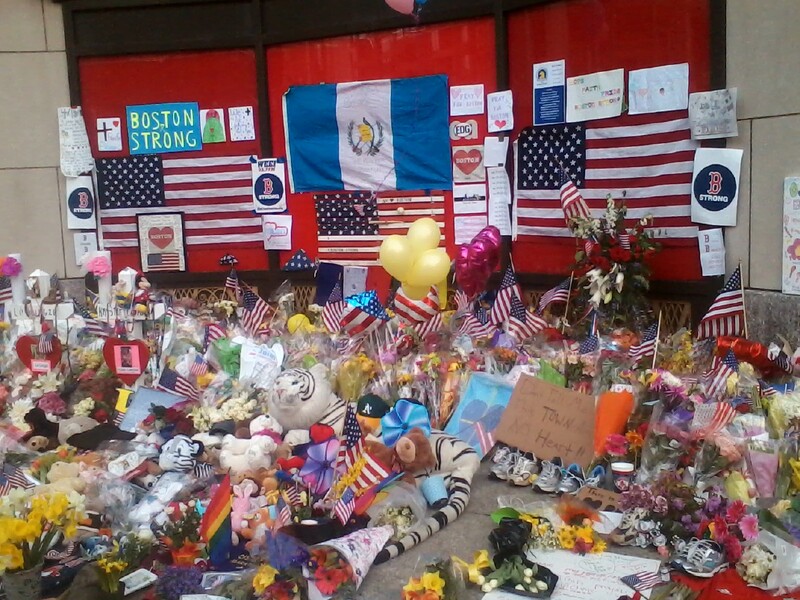 I walked over to the new spot for the tribute for those fallen on Boylston and Berkley. Television cameras were trained on the area and cables lay along the street. A young man on a bicycle comforted a young woman in a tearful embrace. She wore a Marathon runners jacket. Not something we’ll get over soon, if ever, for some. It was overwhelming looking at the shoes, the notes of love and loss, the flowers and the signs of support, encouragement and hope. 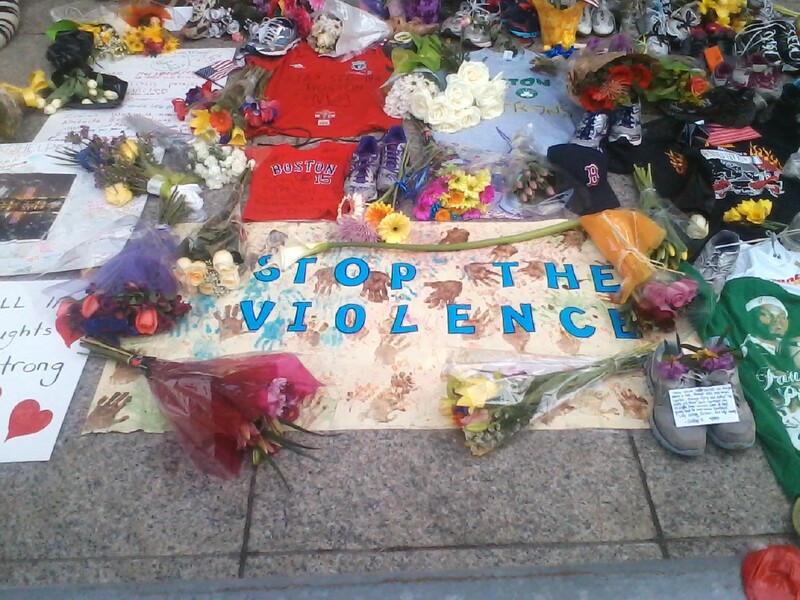 I am saddened by what has happened of course, but I am proud of the outpouring of love and support and I hope that those truly affected and afflicted by the atrocities that happened on Marathon Monday find some comfort in people’s response. I know I have, and still do. A run for us to try and make sense of the tragedy that has forever changed something we love. 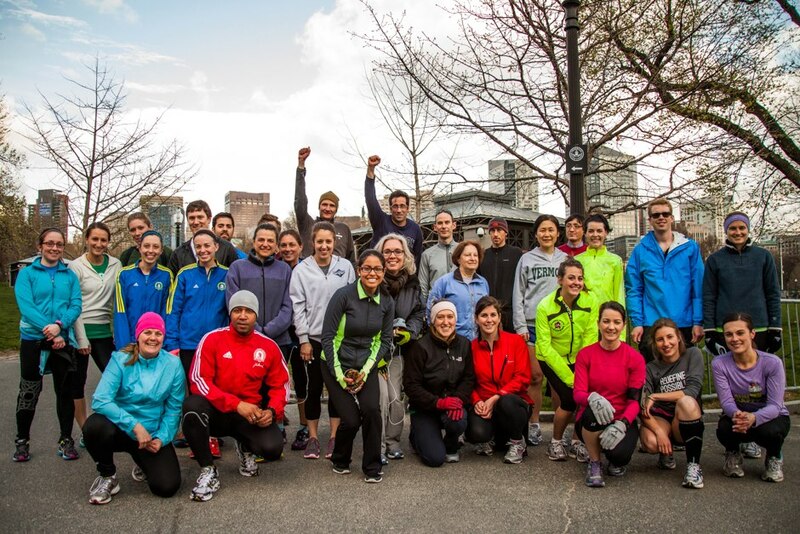 A group run (2.69 miles) for runners to come together and show our strength after the tragic events that happened at the 117th Boston Marathon. 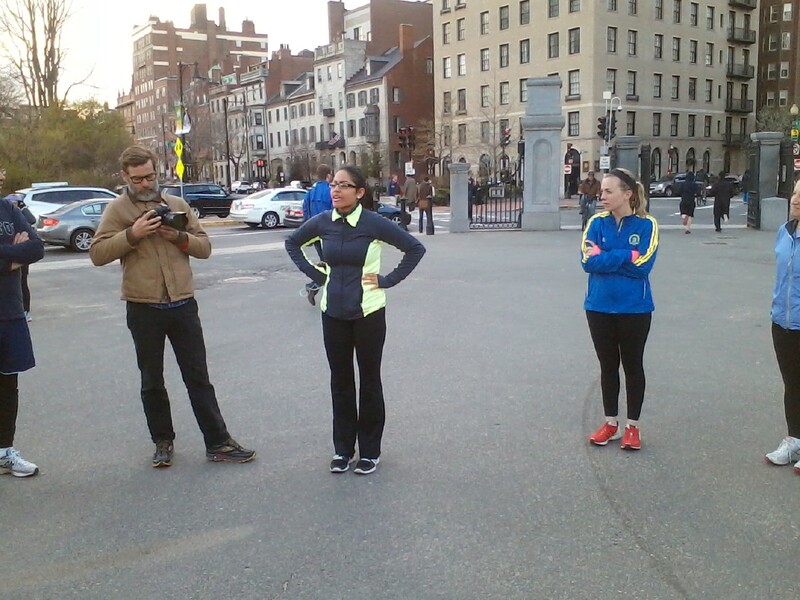 We will meet at the Boston Common on the corner of Beacon ST where our run will begin.